Another record was set at Froling Energy’s PDC production plant in Peterborough this past last winter. We produced and shipped 3509 tons of PDCs to customers from August 2017 through the end of April 2018. That means that our customers offset, with locally sourced wood chips, the burning of over 328,500 gallons of fuel oil in one year! We like to think of our region’s sustainably harvested forests as New England’s oil wells. 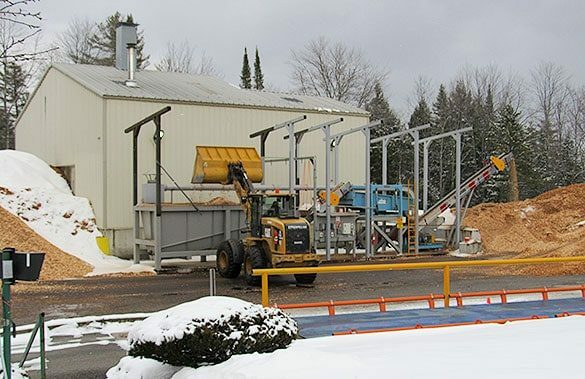 Froling Energy and New England Wood Pellet are like oil refineries, making fuel that can be readily used by consumers. Make money by producing products that are in demand for a wide variety of products. Truckers, heavy equipment dealers, mechanics, and so many others benefit from this kind of homegrown enterprise.